www.hfn-music.com/hafendisko Bands that have been assigned to the style of „Hamburger Schule“ in the 80's and early 90's have actually created quite different styles of music and refused to be reduced to local patriotism. And is there supposed to be one single genre for a city comprising almost 2 million inhabitants? There must be more. And there has always been more. DJ Koze, former MC for Fishmob, reworked Blumfeld's „Tausend Tränen tief“ into Minimal House. Flagship band Tocotronic got remixed by Erobique. Richard von der Schulenburg, back then Keyboarder of Die Sterne, now has a reputation as a DJ for deep and fond sets. Not to mention the G-Move – a parade for happy ravers, and the Front-Club – the first homeland for House in West Germany. So when approaching the Hamburg music scene, make sure not to confuse its estimable past with the present. Always take a step further and don’t forget the ones who didn’t fit in. Those will be found within the environment of the Golden Pudel Club – still a statement, politically and in regards to music. And there is Golem – the place to go for those Bohèmes into Jazz, Marcuse and Minimal Techno. Frappant hosted Off-Partys for those into art. There are Grünanlagen open airs in the summer, PAL in Karoviertel, TurTur in Wilhelmsburg, Uebel & Gefährlich and many more. The club owners’ valuation for music and dancing excels the one for business. Some of them kind of exceed the limit of this practice and maybe shouldn’t be mentioned here. (sorry trade office). Off the beaten tracks there’s a vivid scene of dedicated hosts and labels such as Smallville, Pampa, Derivé Schallplatten, Baalsaal Records, Diynamic Music or hafendisko. Among others, always among others. The series „hamburg elektronisch“ already tributed two compilations under the slogan „von house zu house“ to this diversity. Its high quality level proceeds with the third issue of 29 (mainly exclusive) tracks from e.g. DJ Koze, Erobique, Christopher Rau, Isolée and Lawrence. 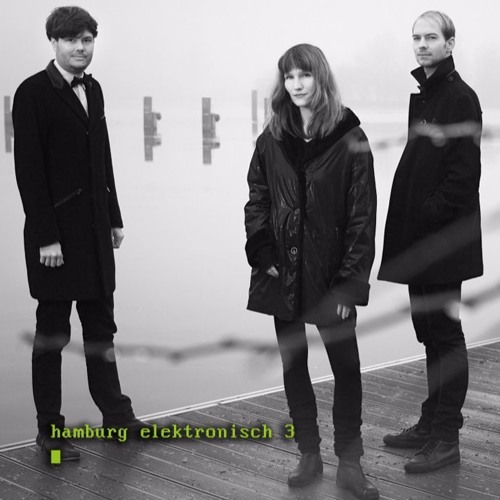 Via a Double-CD, a digital album (separate tracks and mix) and a 12“ EP, „hamburg elektronisch 3“ presents the electronic sound of a city where more than a few ships are in motion. Browsing through the tracklisting the gentle reader will notice not a few artists who gained a remarkable international reputation. Find out more about electronic music from Hamburg, the scene’s protagonists, event tips, and more on „hamburg elektronisch“ here: facebook.com/hamburgelektronisch. This page will be updated beyond the compilation release. hamburg elektronisch 3 is released on 25.03.2016 on Double-CD and digital. The vinyl is released prior to the CD in form of a 4-track-12" EP.